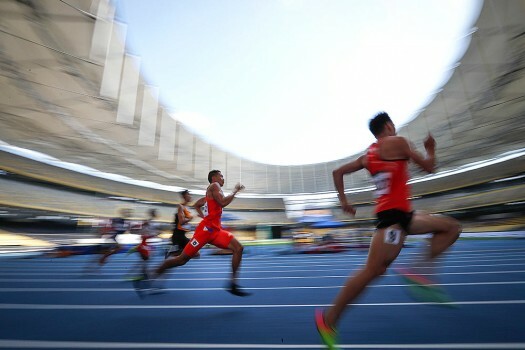 Runners compete during the Men's 400-meter semi-final at the 29th South East Asian Games in Kuala Lumpur, Malaysia. Malaysia's Khairul Hafiz, celebrate with Malaysia national flag after the Men's 100 metre final of the 29th South East Asian Games in Kuala Lumpur, Malaysia. Team Malaysia compete during Team Free Routine Synchronized Swimming final of the 29th South East Asian Games in Kuala Lumpur, Malaysia.